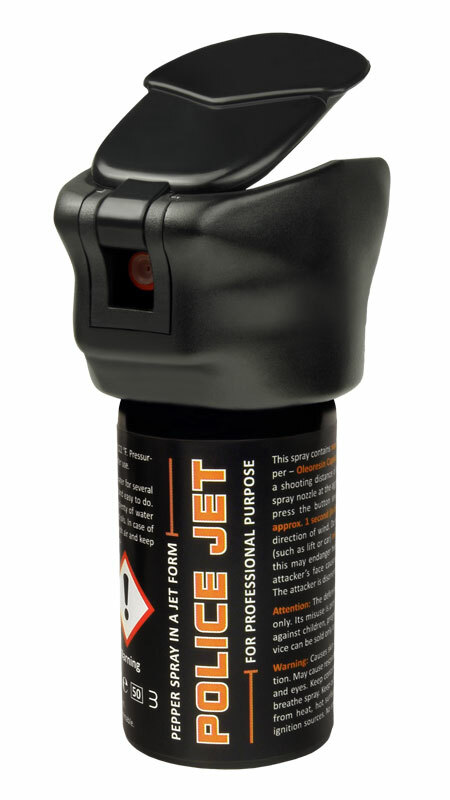 POLICE JET defensive spray is supplied also as a training version (containing harmless inert gas only) for training purposes. Spray cannot be refilled again! Pepper spray with volume of 15 ml contains Oleoresin Capsicum (10% OC). Small dimensions, suitable for ladies’ handbags. It enables approx. 20 short shots at the distance up to 3 m. Spray has character of JET with small drops, that’s why it is less susceptible to dispersion by possible mild wind. Pepper spray with volume of 14 ml contains Oleoresin Capsicum (10% OC). Inconspicuous, always at hand. When closed, it looks exactly like an ordinary writing pen. It enables approx. 20 short shots at the distance of 2–3 m. Spray has character of JET with small drops, that’s why it is less susceptible to dispersion by possible mild wind. Non-flammable pepper spray with volume of 40 ml contains Oleoresin Capsicum (OC). Spray has character of JET with small drops, that’s why it is less susceptible to dispersion by possible mild wind. Striking distance of the spray jet is up to 4 m.
Diameter of vessel is 35 mm, height is 86 mm. Spray cannot be refilled again! Made in Germany. Non-flammable pepper spray with volume of 50 ml contains Oleoresin Capsicum (OC). Spray has character of JET with small drops, that’s why it is less susceptible to dispersion by possible mild wind. Striking distance of the spray jet is up to 4 m.
Diameter of vessel is 35 mm, height is 108 mm. Spray cannot be refilled again! Made in Germany. Pepper spray with volume of 50 ml contains Oleoresin Capsicum (OC). It has character of FOG. Spray does not require exact aiming as it creates misty cloud, but it is susceptible to dispersion by possible wind. Active range of spray is approx. 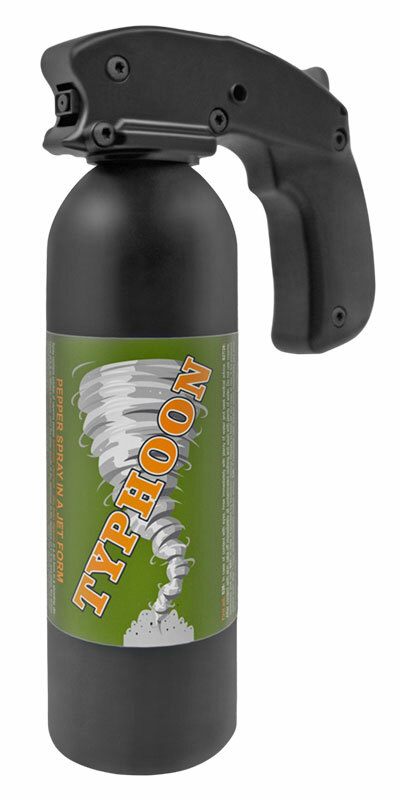 3–4 m.
Professional, highly efficient pepper spray with volume of 400 ml and with reach up to 5-6 m contains concentrated Oleoresin Capsicum (OC). Spray has character of JET with small drops, that's why it is less susceptible to dispersion by possible mild wind. Thanks to its volume it is designated particularly for use at special actions against several attackers, such as riots or rampage of soccer fans. 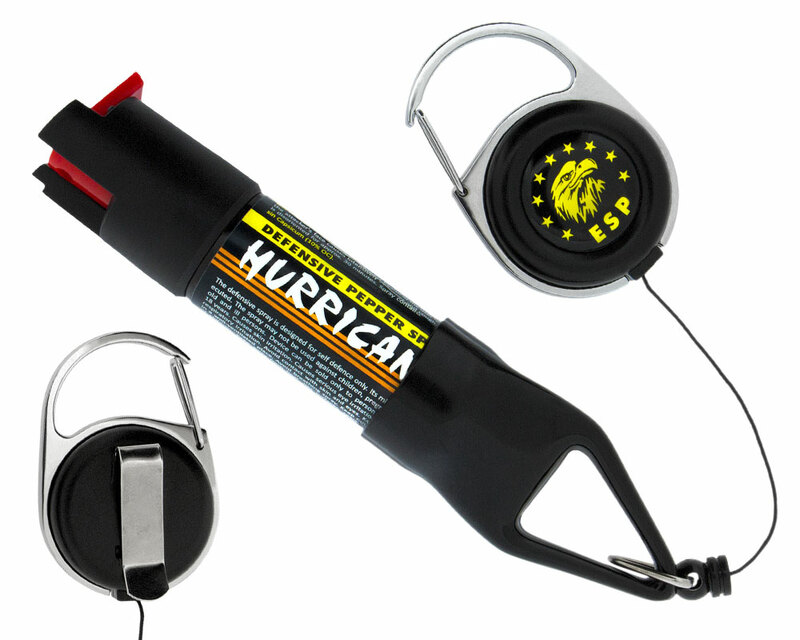 Pepper spray meets the highest safety standards. Working temperatures are within the interval from -20 to +50 °C. Diameter of the vessel is 64 mm, height (with handle) 256 mm, width (at the place of handle) 140 mm. Spray cannot be refilled again! Made in Germany.